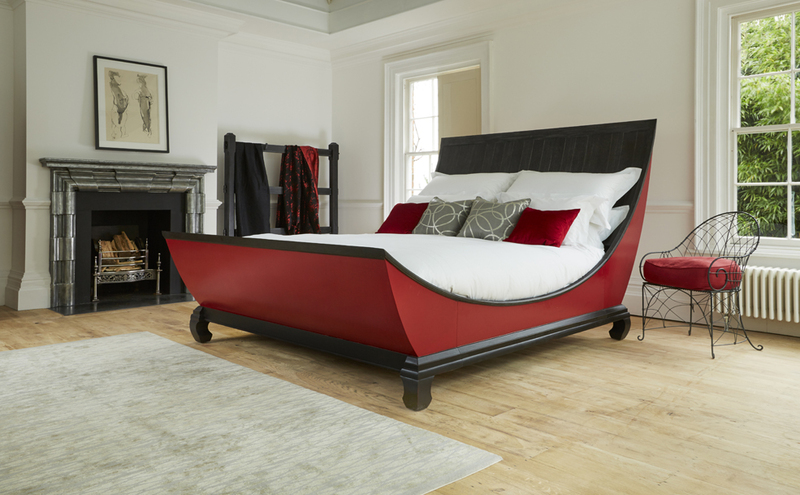 A stunning and dramatic lit bateau is given a contemporary twist and takes inspiration from a Chinese junk boat. 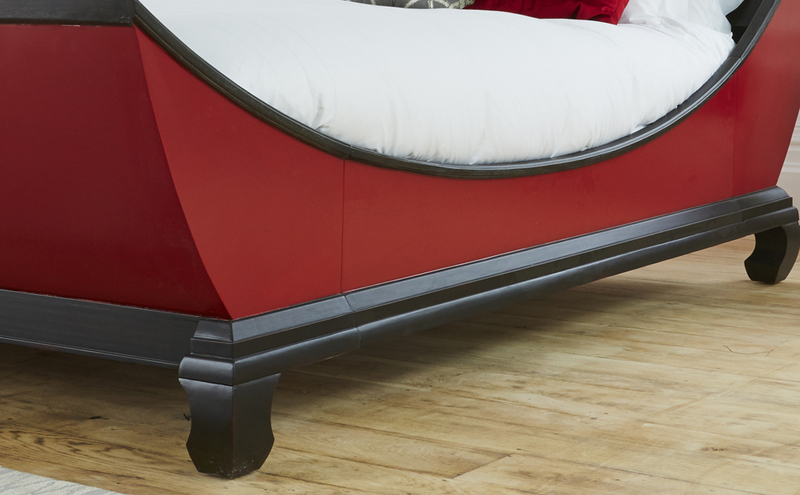 The bed features a dramatically high, sweepingly curved headboard, a beautifully curved base and shaped feet. 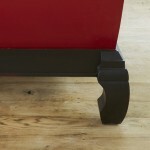 Shown here painted red and black, but available with bespoke finishes in the customer’s colour choice. 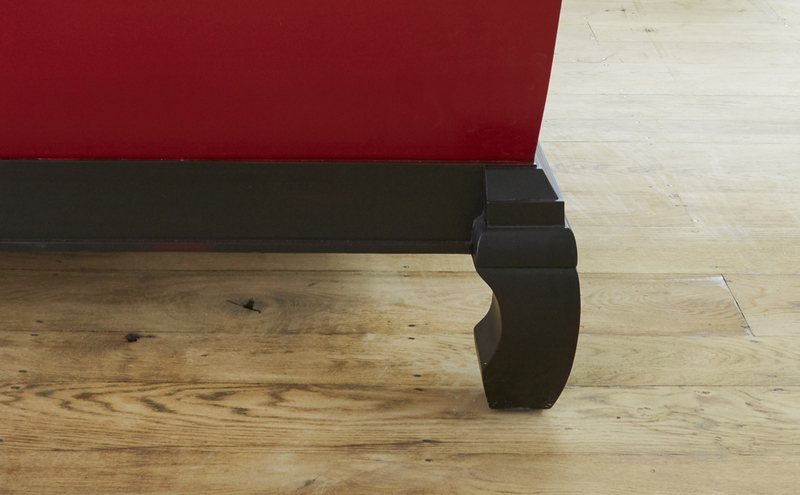 Width + 15 cm more that mattress size.